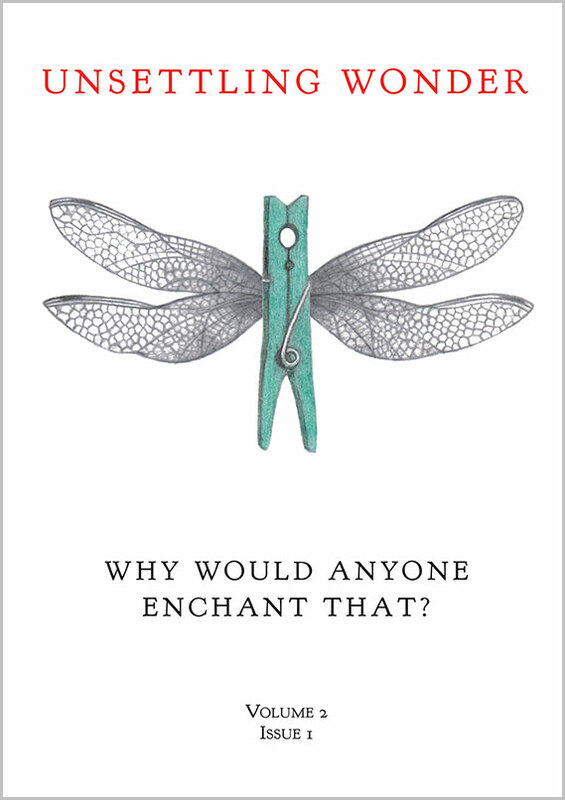 The new issue of Unsettling Wonder ‘Why Would Anyone Enchant That?’ is now available. A little girl accidentally turns the sky to lemonade. A fragile witch tries to make a child out of wood. An armchair creaks with the magic of a thousand stories. And did you know Fibonacci designed a velodrome? Never mind rings and swords: here are unexpected objects cracking with magic of their own, full of laughter and fear and loneliness and just plain curiosity. This issue a celebration of the puzzling, tickling wonder of ordinary things, asking the bewildered question Why Would Anyone Enchant That? Surprising answers from Jane Yolen, Sierra July, Sharon Dodge, Katherine Langrish, Maureen Bowden, Benjamin Darnell, and Sarah Ann Winn, with photography by Thomas Brauer. Cover design by Laura Rae. Just wondering if there’s any reason why I can’t get a digital version of this issue?